a 2 to 3 minute routine to your chosen song, whether it be a Salsa, Waltz, Rhumba or Foxtrot rhythm. Surprise your parents and friends with your newly acquired dancing skills in 3 to 5 easy lessons, and at affordable rates! I offer fun and achievable sessions, beginning with a complimentary 1/2 hour consultation appointment. Call or email me today for a booking! (604) 267-1302, or b.mcmahon1@hotmail.com. 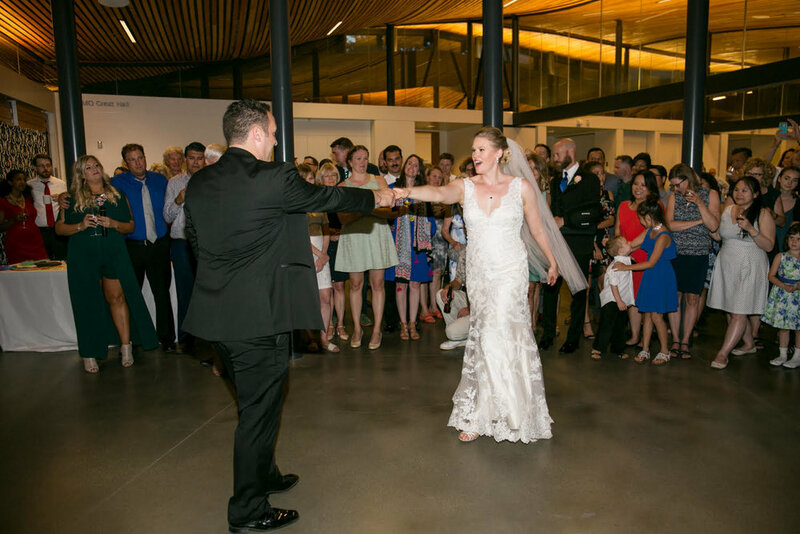 Bonnie McMahon, champion dancer and instructor"
I thought I would send along some photos of our first dance from our wedding in July (we just got our photos back!). Thanks again for all your help. Hope all is well with you! Thank you! Bonnie will be in touch as soon as possible! For faster response, please call (604) 267-1302! Thank you for the kind wishes and the dance lessons. It was great fun and we are so grateful to have you as our instructor. You are so adorable and kind. We'll be sure to smile and to think of our good times together at the studio. Thank you so much for today! 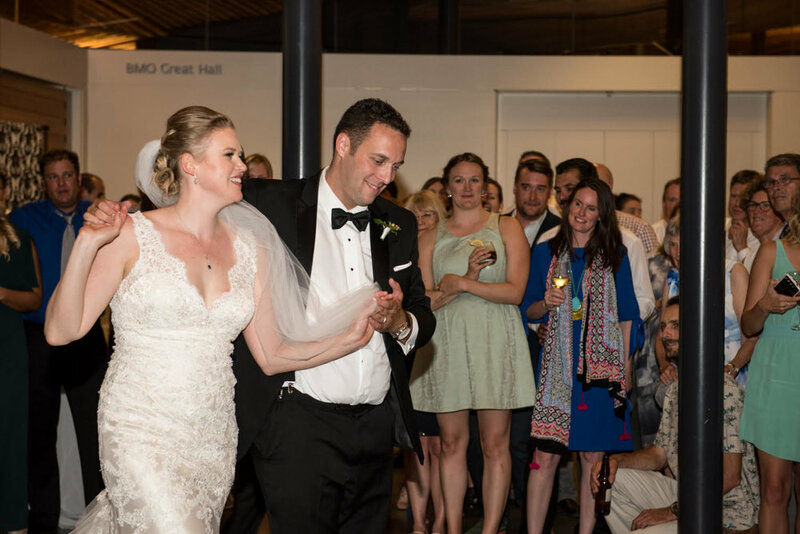 We both enjoyed ourselves immensely and feel we are in really good hands for our wedding dance. We wanted to let you know that the wedding dance went well. Everyone had a good time! We even got almost everyone onto the dance floor.